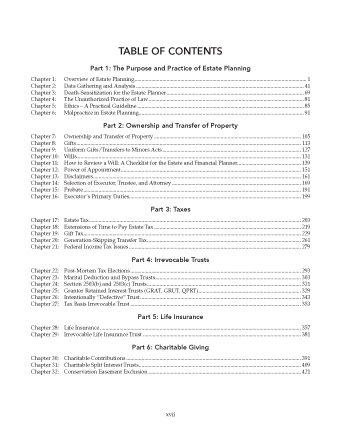 The 17th edition of The Tools & Techniques of Estate Planning provides the tools and techniques that every estate planner, financial planner, and insurance professional needs to help their clients preserve their assets under current law. It is completely updated and delivers numerous enhancements including time-saving forms for estate planning, new guidance on handling intra-family loans, and a new chapter of Digital Estate Planning issues. All relevant legislative changes are applied throughout.